Danger Girl turned 10 not too long ago. Right now, her favorite show is Mythbusters and really wanted a party on that theme. I didn't make any really awesome snacks, focusing instead of some pretty fun activities. The first order of business was to watch an episode of the show. We chose one related to the experiments we were going to do. And, we completely ignored the warnings of "Do Not Try This At Home." Each child had her own bottle of diet coke and dropped four mentos to get this awesome effect. I wish we would have had more than one per person. It was just so much fun! 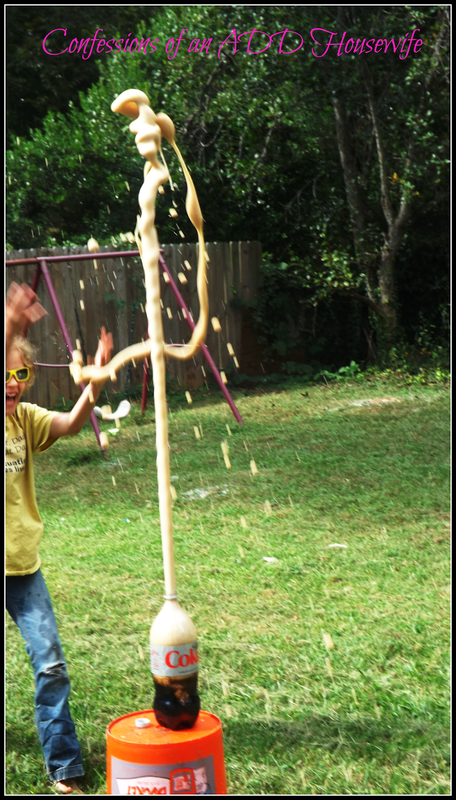 And because the experiment uses up all the CO2 in the soda, you can't reuse the soda once the mentos drop. The kids tried. Basically, you take 35 mm film canisters and fill them with water or soda. 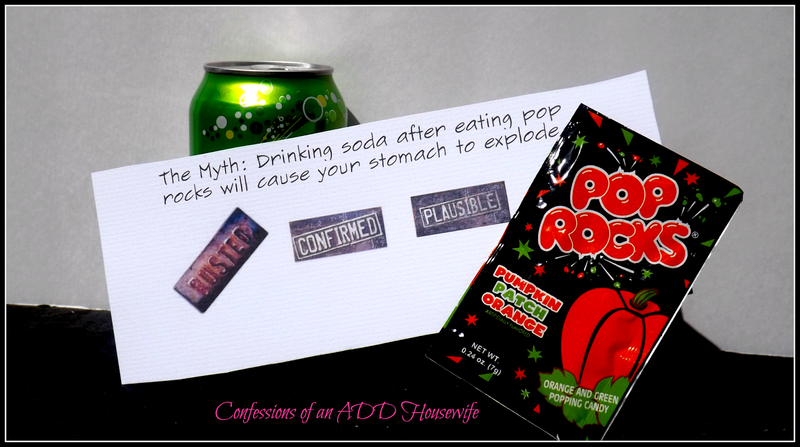 Then you drop 1/4 of an Alka Seltzer tablet in, replace the lid and shake. These things really POP. We had to remind the smaller kids not to point the lid end at anyone. 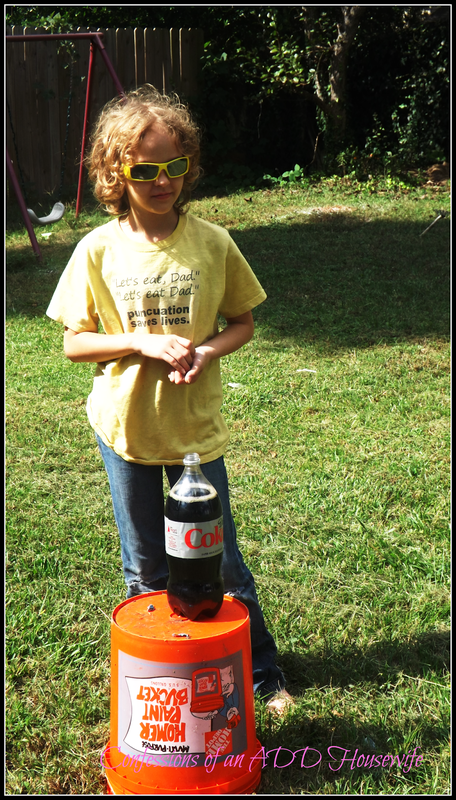 When we ran out of Alka Seltzer, the kids had enough science know-how to figure out you can also launch the rockets using Pop Rocks. Danger Girl LOVED her party. L-O-V-E-D it. That is such a fun show, I LOVE that your daughter loves science!! Looks like a really fun party! We love this show!! You did an amazing job here! Love it! !